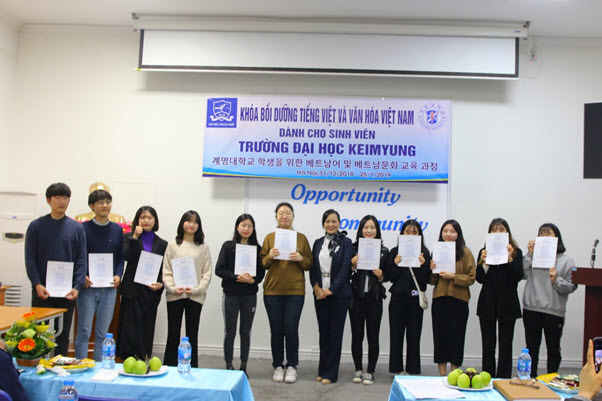 On January 25th, 2019, the ULIS-VNU held the closing ceremony on Vietnamese language and culture class for students of Keimyung University (Korea). 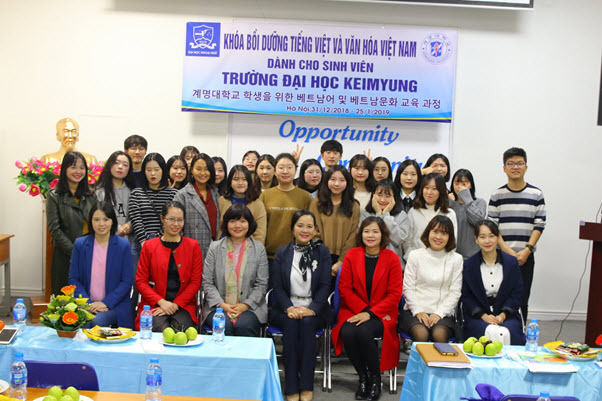 Attending the ceremony were Vice President Ngo Minh Thuy, Dr. Tran Thi Huong, Dean of the Faculty of Korean Language & Culture, Dr. La Thi Thanh Mai and MA. 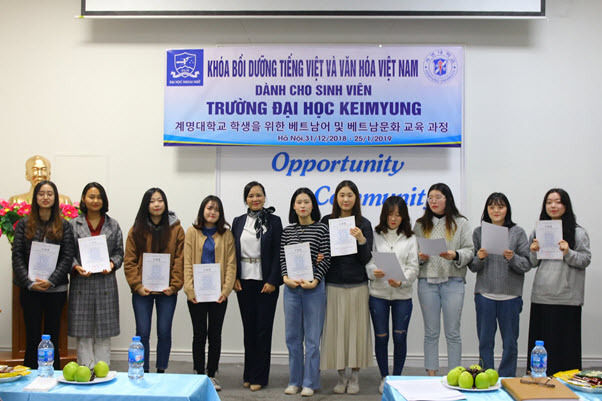 Nguyen Thuy Duong, Deputy Deans of the Faculty of Korean Language & Culture, teachers, volunteers and especially 21 students from Keimyung University. 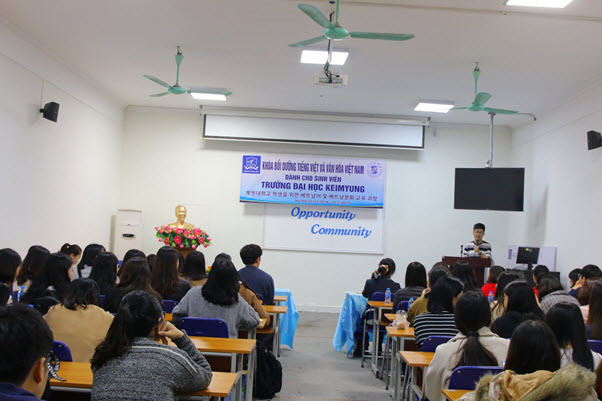 Speaking at the ceremony, Vice President Ngo Minh Thuy congratulated the 21 students for successfully completing the Vietnamese language & culture course. Representing Korean students, Shin Ji Yun thanked leaders of the two universities for facilitating the course. The 2 universities will continue to coordinate these courses in the future.